Machine-data management specialist Splunk is getting in on the trend of democratizing analytics by making its Splunk Enterprise software easier for non-technical folks to use. Version 6 of the software, announced on Tuesday, features new tools for building queries and reports without using Splunk’s traditional search language, as well as for visualizing the results of those queries. One of the more successful enterprise software IPOs in recent history, Splunk made a name for itself with its search-based interface for letting systems administrators comb through logfiles in order to troubleshoot IT problems. But with the advent of big data and the realization that there’s actual business value hidden within the data that servers, phones, telecom equipment and other machines generate, Splunk transitioned from being about IT search to being about what it calls operational intelligence. With data, though, it’s often the case that the businesspeople who know it best and could actually make the best use of it are also the ones least able to use traditional analytics tools — especially ones designed for an entirely different type of user. 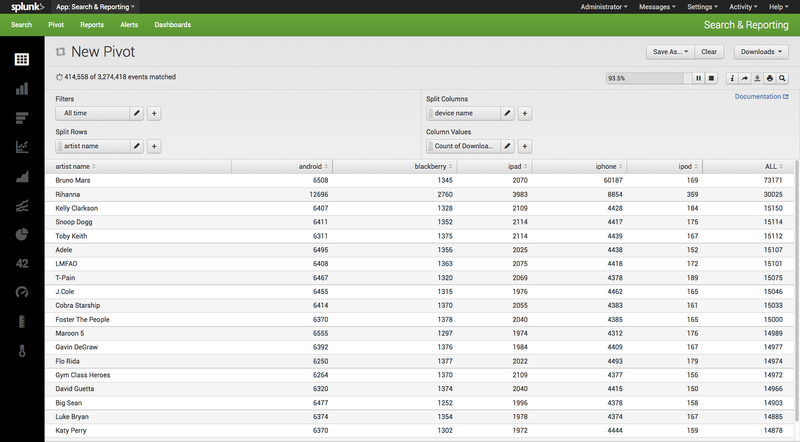 So, in the new version of Splunk Enterprise, users can work their way through sets of data via a GUI rather than search queries. 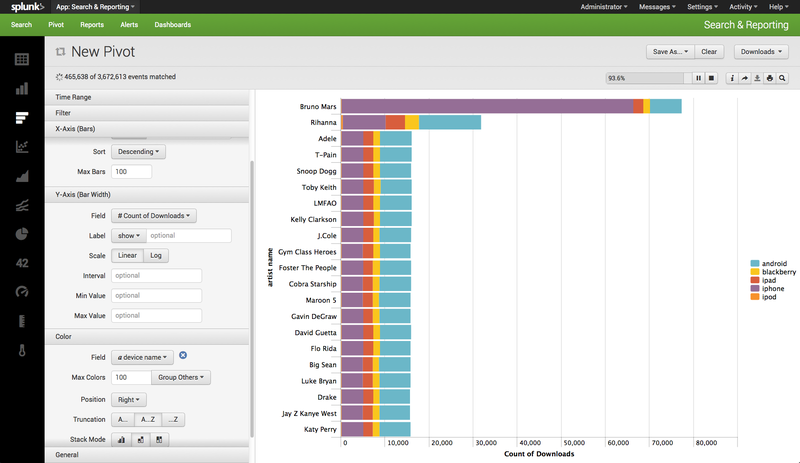 There’s also a GUI for creating the data models that the software uses to generate certain reports in the first place. With a few clicks, they can visualize the data. According to the demo I received, Splunk Enterprise 6 also includes more flexible dashboard capabilities (including easier-to-use integrated maps), improved management interfaces and a “high-performance analytics” function that the company claims can speed up complex searches by up to 1,000 times. All told, it’s just a software release, but it does appear to hit the right notes on broader industry trends around making data analysis easier to do and generally making enterprise software more accessible. The world will always need experts and power users for every tool and technique, but it’s hard to grow or — in a world of SaaS startups around every corner — maintain a business around them. And Splunk has plenty of competition lurking in the clouds, including from the newly minted Logentries. Next-generation software darlings like Splunk and Tableau need to keep delivering or face a shorter reign of dominance than the vendors they displaced enjoyed. If they don’t build that killer feature or reach that new, powerful user segment, someone else almost certainly will.